The Zambezi river is the fourth longest in Africa, crossing or bordering Zambia, Angola, Namibia, Botswana, Zimbabwe and Mozambique. The river basin is widely recognised as one of the most important basins in southern Africa and is the focus of contested development, including water for hydropower and for agriculture and the environment. 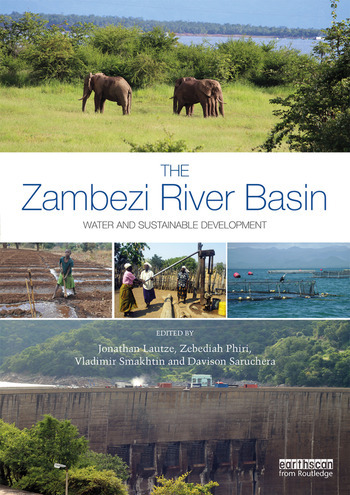 This book provides a thorough review of water and sustainable development in the Zambezi, in order to identify critical issues and propose constructive ways forward. The book first reviews the availability and use of water resources in the basin, outlines the basin’s economic potential and highlights key concerns related to climate vulnerability and risk. Focus is then devoted to hydropower and the water-energy-food (WEF) nexus, sustainable agricultural water management, and threats and opportunities related to provision of ecosystem services. The impact of urbanisation and water quality is also examined, as well as ways to enhance transboundary water cooperation. Last, the book assesses the level of water security in the basin, and provides suggestions for achieving Sustainable Development Goal (SDG) 6. Throughout, emphasis is placed on entry points for basin-level management to foster improved paths forward. The Potential for Subbasin Cooperation in the Shire: A Case for Bottom-Up Institutional Development? Jonathan Lautze is Senior Researcher at the International Water Management Institute (IWMI), based in Pretoria, South Africa. Zebediah Phiri is Executive Secretary of the Zambezi Watercourse Commission, based in Harare, Zimbabwe. Vladimir Smakhtin is Director of the United Nations University, Institute for Water, Environment and Health, in Hamilton, Ontario, Canada. Davison Saruchera is a PhD candidate at the Wits School of Governance, University of Witwatersrand, Johannesburg, South Africa.